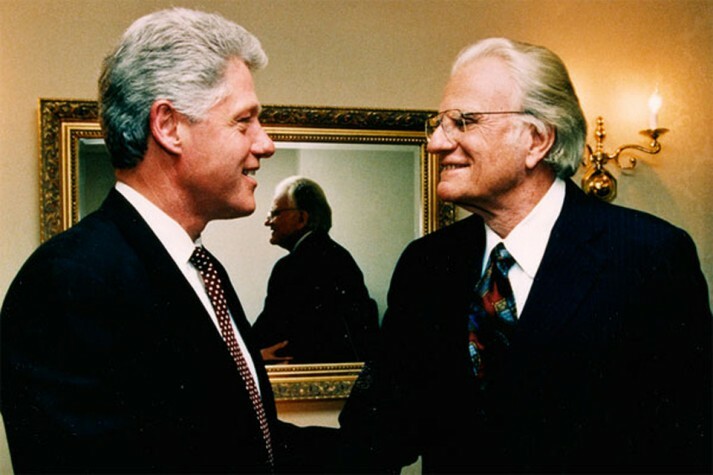 Former President Bill Clinton was 11 years old when he heard Billy Graham preach in his hometown of Little Rock, Arkansas. 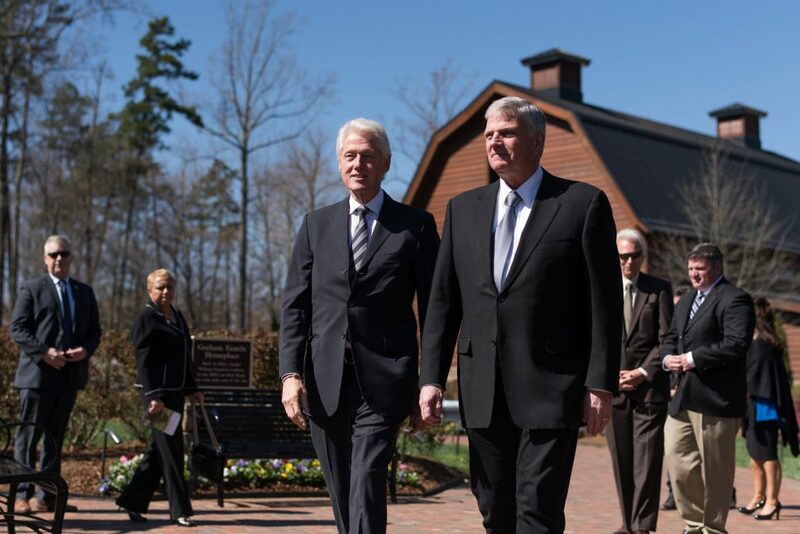 On Tuesday, he became the second U.S. president to visit the grounds of the Billy Graham Library in Charlotte, North Carolina, as Mr. Graham’s body lies in repose. President Clinton and Franklin Graham greeted each other in front of the Library with smiles and a handshake. President Clinton mentioned that he read a story recently about how pastors have to be careful getting too close to politicians. President Clinton couldn’t have known it as an 11-year-old boy attending one of Mr. Graham’s Crusades, but 30 years later when Mr. Graham returned to Little Rock for a 1989 Crusade, Clinton joined him—this time as governor of Arkansas. In the years to come, the governor and later U.S. president would come to spend a lot of time with this humble preacher from North Carolina. 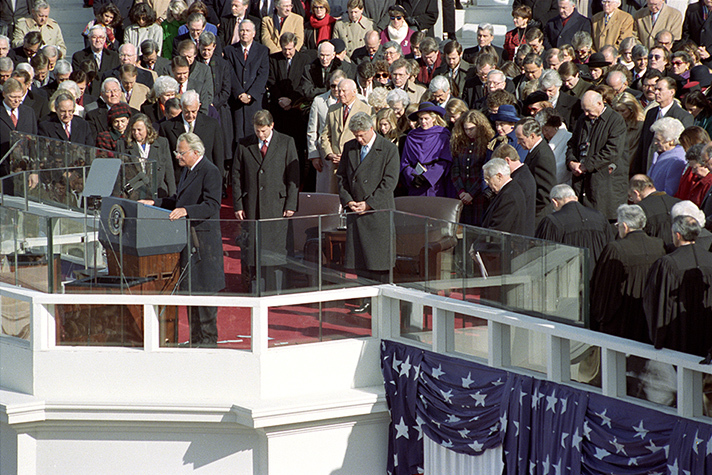 President Clinton joined former Presidents Jimmy Carter and George H.W. Bush in a ceremony to dedicate the Billy Graham Library in 2007 and recalled his first Crusade during the country’s racial integration struggles. Shortly after Mr. Graham’s passing last Wednesday, Clinton released a statement about the impression Mr. Graham left on him as an 11-year-old and throughout the years. “I saw him live that faith fully in the constant kindness, encouragement, and counsel he extended to Hillary and me. Billy Graham will lie in honor in the U.S. Capitol Rotunda on Wednesday and Thursday, Feb. 28 and March 1. Get details. Learn more about Billy Graham’s life, and leave memories and condolences on his memorial page. 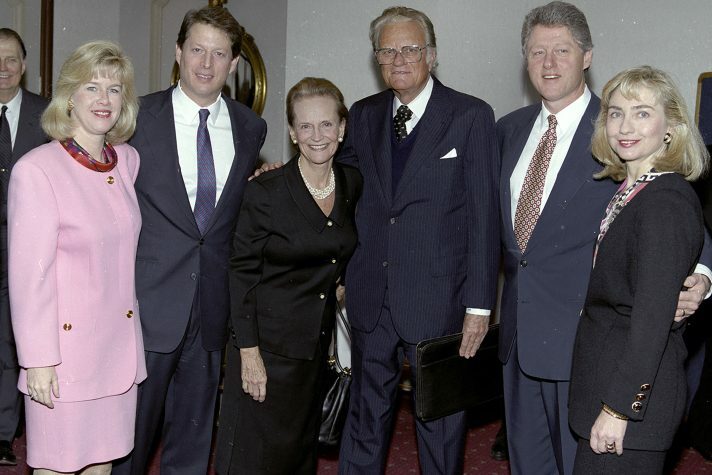 Billy and Ruth Graham with Al and Tipper Gore, and Bill and Hillary Clinton at the National Prayer Breakfast in 1993.